Devil’s Symphony: Orson Welles’s “Hell on Ice” as Eco-Sonic Critique | Sounding Out! Orson Welles in Mr. Arkadin, 1955. During our modest publicity blitz leading up to our #WOTW75 project last month, I argued once or twice that we shouldn’t obsess so much over the aftermath of the 1938 invasion radio play — how intense and widespread the panic truly was, how much Welles intended it this way, what it all says about “human nature” and “the power of the media,” etc. — and ought to spend more time unpacking the piece itself. In an incautious moment, I even proposed we ought to think about the play as one of the great works of the 20th century, on par with key films, novels and paintings that get at the structure of modern feeling through aesthetics. The claim boxed me in. Why? Because, from an aesthetic point of view, “War of the Worlds” may not even belong in the top tier of Welles’s prodigious radio corpus. His role in Archibald MacLeish’s “Fall of the City” is probably more significant in the history of radio aesthetics, and his appearances on Suspense are likely his best work as an actor. Among his principle directed works, I’d argue that plays like “A Passenger to Bali,” “The Pickwick Papers” and “Dracula” are the most exciting. Even more compelling than any of those, meanwhile, is an unusual radio play based on a now-forgotten historical adventure novel about an ill-fated polar voyage — “Hell on Ice,” which radio enthusiasts routinely name as Welles’s best. If it’s true that the essence of Welles’s radio art was his capacity to first create scenes of striking awe and then modulate dramatic pacing, then HOI is surely a minor masterpiece. Yes, I fear I’m stuck. 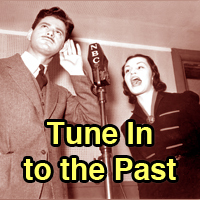 The Mercury Theater’s broadcast of “War of the Worlds” on Oct. 30, 1938 may forever be remembered as “the Panic Broadcast,” but listening to the Mercury’s first season seventy-five years later, it is another broadcast that seems most in tune with current anxieties about planetary crisis. 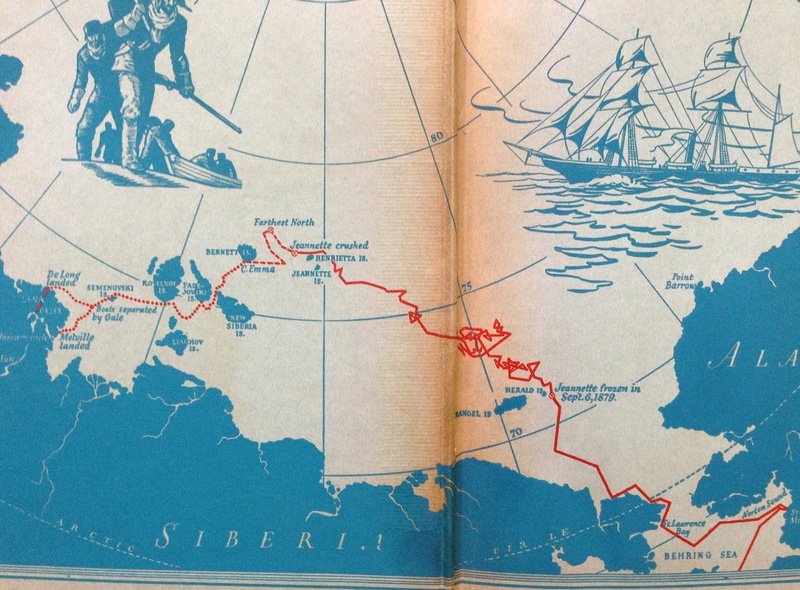 On October 9th, the Mercury Theater performed an adaptation of Edward Ellsberg’s Hell On Ice (1938), which depicted a failed attempt by an American expedition to reach the North Pole in 1879. “Hell on Ice” is notable among the Mercury’s radio broadcasts in a number of ways: it marks the debut of the writer Howard Koch, who became a regular on the series, scripting “War of the Worlds” to air three weeks later; and it is the only show to be based on a “stirring adventure of recent history” as opposed to classic literature and drama. “Hell on Ice” also stands out among the Mercury oeuvre as a proto-environmental critique. That is, like “War of the Worlds,” “Hell on Ice” contemplates the catastrophic collapse of human society, but where the October 30th invasion broadcast was a science fiction thriller that tapped into anxiety about the looming war in Europe, the October 9th show used historical fiction to dramatize the error of human attempts to master the globe. That makes it perhaps the best companion to “War of the Worlds,” a play in which the thwarted invader is no alien – it’s us. Listening to the play today, “Hell on Ice” is not only a masterpiece of audio theater (among fans, the most beloved of all Welles’s radio works) but a powerful “eco-sonic” critique as well. Captain George Washington DeLong of the Jeanette. 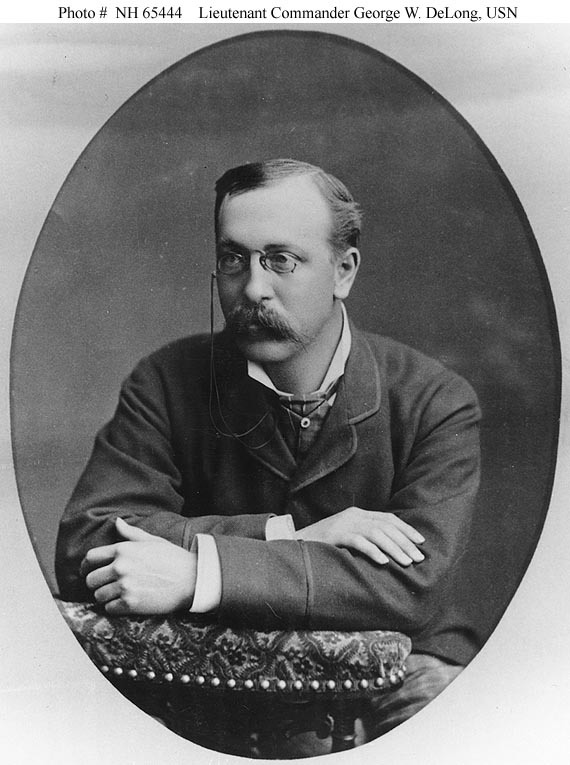 In 1879, James Gordon Bennett, the owner of the New York Herald, sponsored an expedition to the North Pole by way of the Bering Strait. Bennett’s ship, christened the Jeannette, was to ride a warm, northerly ocean current to the shores of the mysterious Wrangel Island, which some believed to be the tip of a vast continent that stretched to Greenland. Captain George Washington DeLong and a crew of thirty-one men left San Francisco to great celebration on July 8, 1879, but the voyage did not go as planned: the Jeannette became trapped in the ice on September 6, 1879, and remained stuck there for two years before being crushed by ice floes in June, 1881. 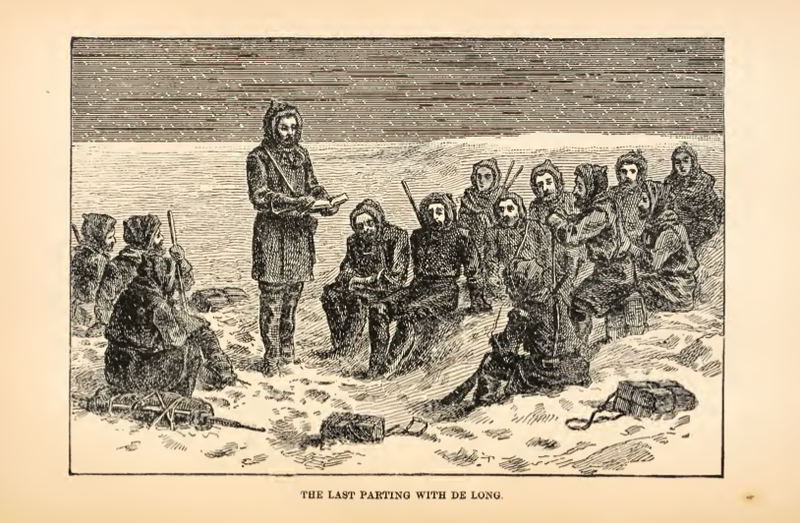 The crew packed into three lifeboats and set a course for Siberia, but one boat was lost at sea with all its passengers and, of the other two, the party led by Captain DeLong froze to death in the Lena Delta. 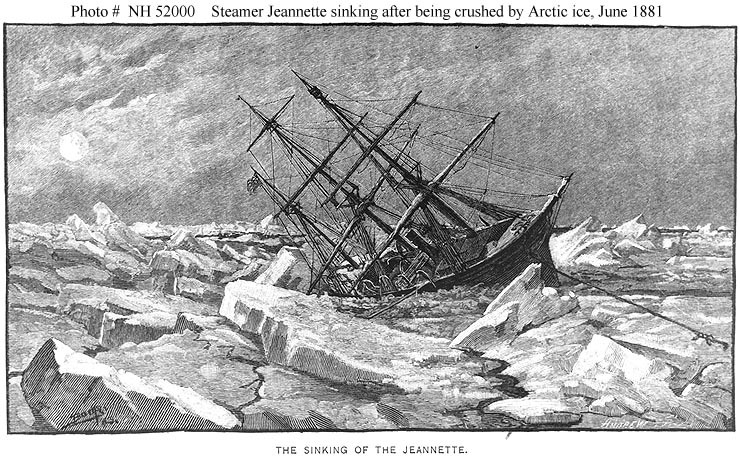 The Sinking of the Jeanette. The frozen world of “Hell on Ice” had many expressive possibilities for the Mercury’s sound effects crew, and was also a wonderful showcase for composer Bernard Herrmann. 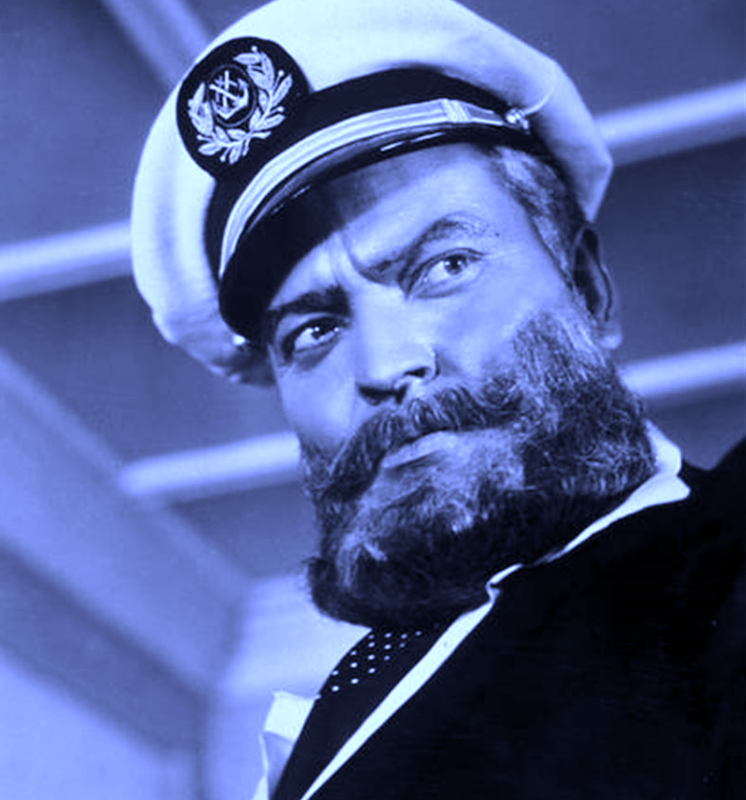 John Houseman claimed that Herrmann had a repertoire of music for the Mercury broadcasts, one of which was “frozen music,” to be used for “gruesome effects.” Herrmann’s frozen music is first heard when the ship becomes locked in the ice and signals a shift in the show’s narrative emphasis to themes of frozen time, stasis, immobility, and deadening routine. The slow, queasy, pendulum-like movements of Herrmann’s score make the perfect accompaniment to Captain DeLong’s June 21st journal entry describing the absolute monotony of “the same faces, the same dogs, the same ice,” read on the broadcast by the actor Ray Collins (The Voyage of the Jeanette, 382-3). 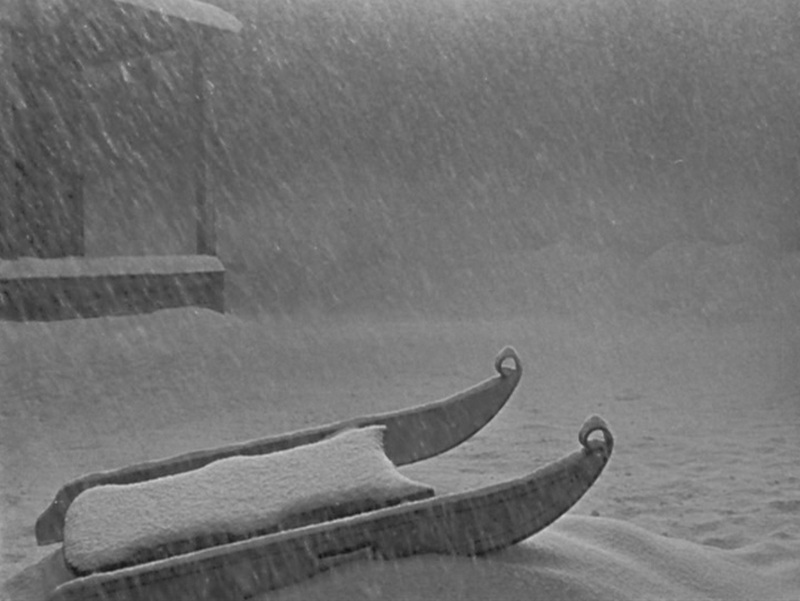 Here and elsewhere in the broadcast, Herrmann’s frozen music is a sonic set design that portrays the bleak scene of the frozen north, and provides commentary on the emotional life of the crew, who struggle with the soul-crushing monotony of life on the ice pack. We should appreciate “Hell on Ice” not just for its aesthetic achievement, however, but also for its social critique. As with other Welles projects, “Hell on Ice” questions America’s passage to an industrial and imperial society (consider for example, James Naremore’s argument that The Magnificent Ambersons charts a transition from “midland streets” to “grimy highways” [The Magic World of Orson Welles 89-91]). “Hell on Ice” brings out the ecological dimension of that critique, and in that regard, resembles another nineteenth century first-person tale in which little or nothing happens: Thoreau’s Walden (1854), which initially suggests a narrative of adventure (the individual in the wilderness), but then quickly abandons it for descriptions of everyday life on Walden Pond. Robert B. Ray claims that Thoreau had little gift for narrative, and that “going to Walden appealed to him because there nothing would happen” (Walden X 40, 11). 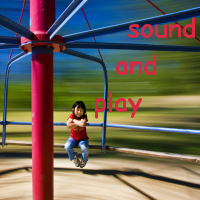 As the narrative interest fades, it is replaced by Thoreau’s poetic descriptive passages and biting social commentary. In a similar re-routing of narrative expectations Captain DeLong wrote in his journals that, given the “popular idea” that “daily life in the Arctic regions should be vivid, exciting, and full of hair-breadth escapes,” the account of his voyage was sure to be found “dull and weary and unprofitable” (The Voyage of the Jeanette, 409-10). Immobility, routine, and unprofitability were a blessing to Thoreau, who even contrasted his “experiment” on Walden Pond to Arctic explorers like John Franklin and Martin Frobisher: where they had explored the Earth’s higher latitudes, Thoreau implored readers to “explore your own higher latitudes… Explore thyself” (Walden, 213). The voyage of the Jeanette as depicted on the endpaper of the 1938 edition of Hell on Ice that Welles probably read. Indeed, “Hell on Ice” and Walden share a certain narrative problem – or, more precisely, a “lack-of-narrative” problem. When Welles adapted DeLong’s journals (via Ellsberg), he responded to that problem in part by recourse to character study. On the Mercury broadcast, the Jeannette’s thwarted mission opens up the possibility for brilliant dramatic scenes: the interaction among engineer George Melville (Welles), DeLong (Collins), John Danenhower (Joseph Cotton), and reporter Jerome Collins (Howard Smith) during the crew’s first Christmas on the ice; Melville’s encounter with the seaman Erikson (Karl Swenson); the escalating tensions between DeLong and Collins; and Melville and DeLong’s final conversation about their chances on the ice. It may seem pointless to speculate about what Thoreau might have written had he been keeping a journal on board the Jeannette, but by a remarkable coincidence, another icon of American environmentalism nearly did just that. Nature writer and Sierra Club founder John Muir was a passenger on board a government ship sent to look for the missing Jeannette in 1881. Radio fans will take pleasure in the fact that the name of the ship was the “Corwin.” Muir was eager for the chance to study how glaciers had shaped the landscape of the polar region during the last Ice Age. For Muir, the frozen North was vivid and exciting as a natural laboratory and a window into deep time, just as it is for ecological activists today. If we listen closely, can we hear Muir’s sentiments in Welles’ “Hell on Ice”? 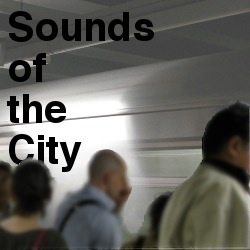 Listening to the show as an ecological critique prompts us to hear the sound effects not only as a showcase of modernist radio technique, but as a means to give voice to nonhuman nature and create dissonant harmonies with human endeavors. This is not to argue that the Mercury group foresaw current concerns, but to testify to the enduring suppleness of their work and inspire eco-sonic productions in the future. Notice how the Bennett expedition is made to seem insignificant by the thunderous sounds of the “endless miles of surging ice” that snap the Jeannette to splinters. 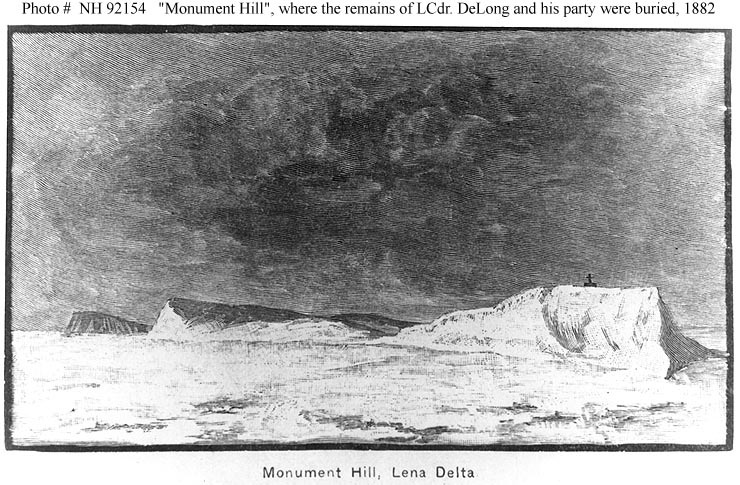 Or consider how, during DeLong’s last divine service on the edge of the ice pack, the sound of the men singing a hymn is gradually drowned out by a crescendo of roaring arctic wind. A monument to DeLong and his crew. 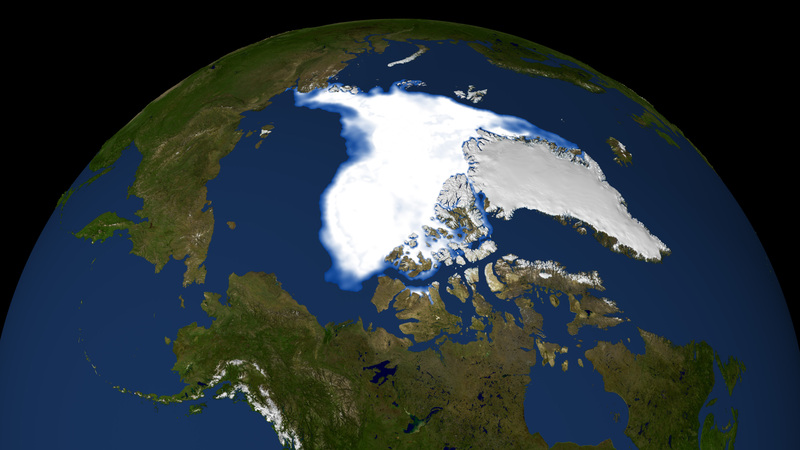 There is a certain sad irony to this conclusion, which asserts that the wind and ice of the Arctic are timeless, for we have come to understand that the polar climate does indeed have a history, and that humans now shape it in profound ways. “Hell on Ice” thus takes on new meaning in our own era, as temperatures rise in the Arctic, and we are forced to contemplate another kind of polar “hell,” one represented not by an impenetrable wall of ice, but by the thinning and disappearance of the ice pack, with all its intimations of environmental catastrophe. Indeed, it is now Muir’s voice that we should hear, with its deep historical and planetary perspective, when Collins, as DeLong, speaks the line that the Jeannette’s Captain wrote on the first day that the ship became frozen in the ice: “This is a glorious country to learn patience in” (The Voyage of the Jeanette, 116). 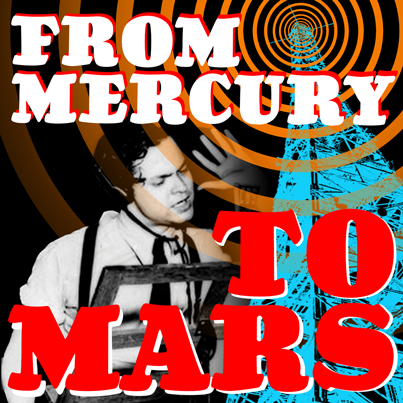 In order of their appearance, here are the other nine entries in our series From Mercury to Mars: Orson Welles and Radio after 75 Years, which is a joint project with Antenna: Responses to Media and Culture. Here is “‘Welles,’ Bells and Fred Allen’s Sonic Pranks,” Kathleen Battles on parodies of Welles. Here is Josh Shepperd on WOTW and media studies.